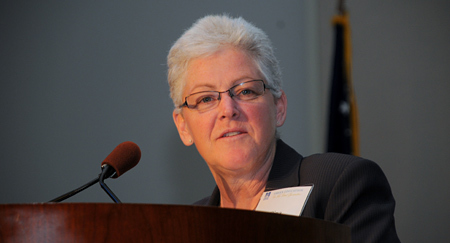 President Obama will announce his nominations of Gina McCarthy as Environmental Protection Agency head and Ernest Moniz as secretary of the Department of Energy, according to a Reuters article. Sylvia Mathews Burwell, head of the Walmart Foundation, is Obama’s choice as the next director of the White House budget office and her nomination will also be announced on Monday. McCarthy is currently the assistant administrator for the EPA Office of Air and Radiation and will replace Lisa Jackson who recently stepped down as head of the EPA. Moniz is the director of Massachusetts Institute of Technology’s Energy Initiative and previously served as undersecretary of energy during the Clinton administration. He would become the go-to person for Obama’s goal of reducing U.S. dependence on foreign oil and establishing America as a leader in clean energy technology.